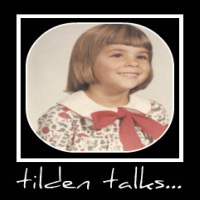 tilden talks...: Girls Just Gotta Shop! Colleen has been out to the dealerships looking at cars. She has a little bit of time left one her current car loan, and some good miles left on her car, but she thought she would get a jump on looking into her next vehicle. Yesterday she had a look at a mercedes benz cls. Colleen is a responsible young woman and she is quite aware that such a car is well out of her price range. When I questioned her she responded, "I can dream can't I?" We sat together this evening and searched the internet for cheap car insurance quotes. By her next birthday, Colleen will leave the realm of car payments and high premiums on car insurance for young drivers. She is excited and worried at the same time. Excited because she will pay a lower rate because of her age, but worried her premiums will increase if she buys a brand new car and takes on a note for it. I suggested Colleen look into a honda civic hybrid. A decent down payment, her good payment history and a tax credit may offset the higher insurance premium she would pay after buying a new car. This seemed to ease her worry a bit. As I went off to start dinner, Colleen began a search for a Honda dealer nearby. Once she found one, she got Janine on the phone. "Hey Janine!" she said. "Guess what we're doing tomorrow?" I would like a Honda Civic Hybrid. Heck, I would like most any new fuel efficient car. I would like it most if someone else paid for it. I'm thinkin' Colleen shares that sentiment!